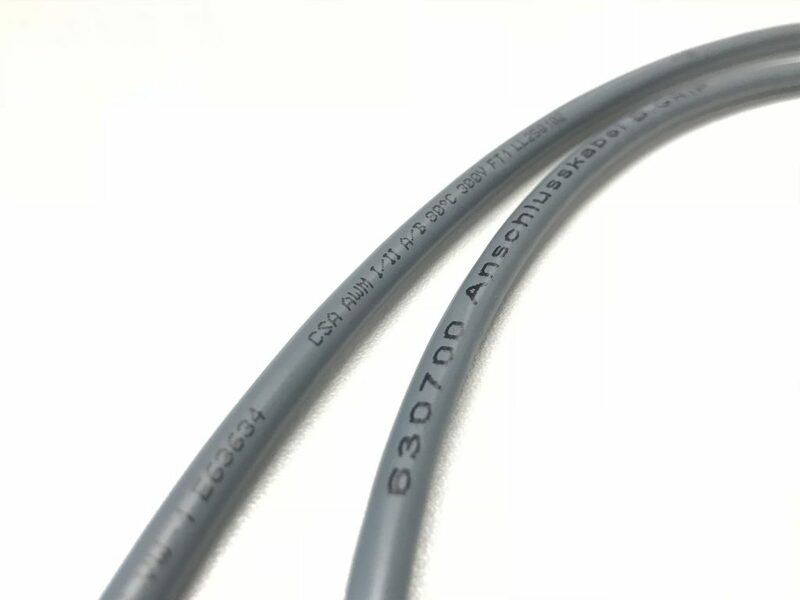 Marking technology and cable labelling are becoming increasingly important across all industries. This development is being seen in both quantitative and qualitative terms. We also see that requirements in this sector are becoming more complex and diverse. 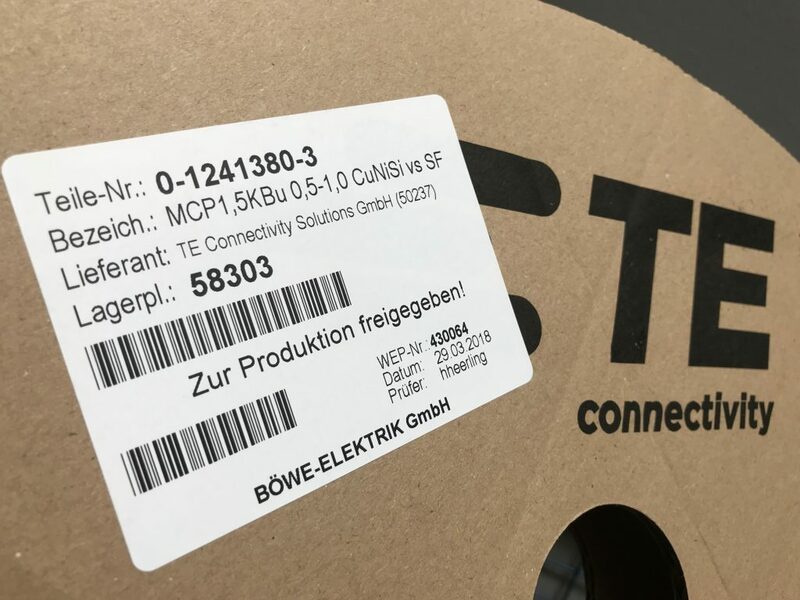 The solutions required are also becoming all the more specific: BÖWE-Elektrik specialises in labelling and marking cables, housings, tubes and other components with all common processes. Do you have any specific wishes or would you like us to develop suitable concepts? We will help you as a strong partner! Individual customer requirements and the development of high-quality solutions are our specialist field. With expertise and state-of-the-art marking systems, we are able to mark your components. 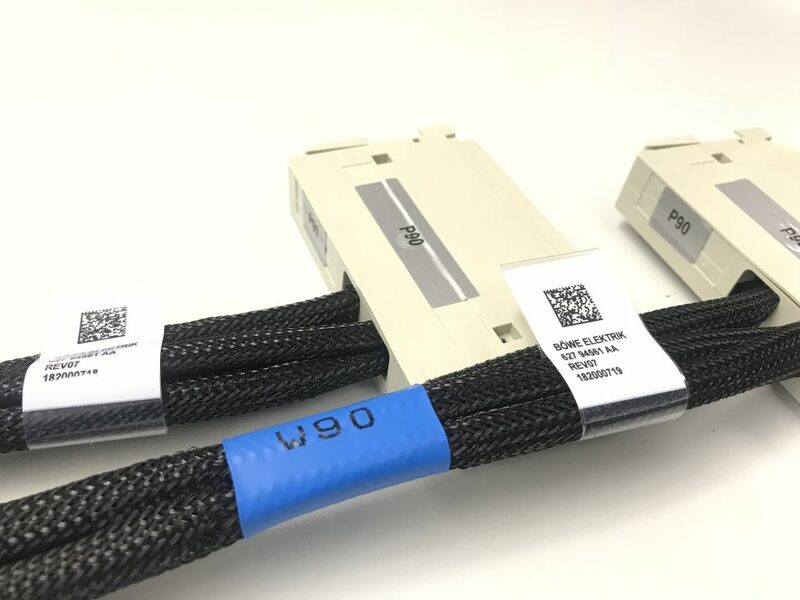 Whether you require the labelling of cables, printing of cables, the labelling of housings or more: We find purposeful and needs-based solutions which are tailored to your needs and wants. We can realise quickly solutions for changing conditions and new requirements. Do you have any questions, do you need advice without obligation or would you like an individual project to be realised with the help of our marking technology? Our experts would be pleased to help you! With thermal transfer printing, your customised label is realised with precise heat generation. Only low mechanical low is applied on the cable or other components to be printed. This is how the process works: On the print heads of these special printers is a dot line. The dots are heated during the print process. The motifs, colours and lettering are transferred directly by the heat onto the cable, housing, label and various components – with the highest print quality and precision! 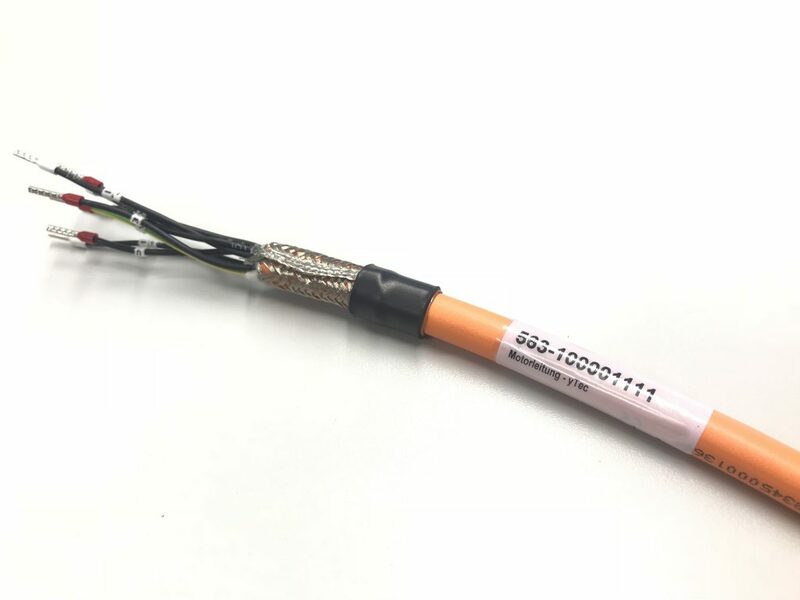 Forgery-proof, sharp and easy to read: Cable labelling and the marking of other plastics by means of laser engraving is one of the most reliable processes in the area of marking technology. The intensity of the laser beam depends on the product to be printed. One major advantage of laser marking: The marking technology is smudge-proof, high-precision, waterproof and permanent. This type of label marking is realised by BÖWE-Elektrik precisely according to your requirements, quickly, customised and automated. This marking technique describes a print process using colour foils instead of traditional printing ink. The hot stamping is done with high pressure and the elements to be printed appear with either a raised or depressed imprint on the product. For this purpose a foil is pressed with a heated embossing plate or hot embossing stamp onto the object to be marked, whereupon it is fused with the object. Abrasion-proof and solvent-resistant: Our shrink tube markers meet all demanding technical and quality standards to ensure optimal cable labelling and marking. 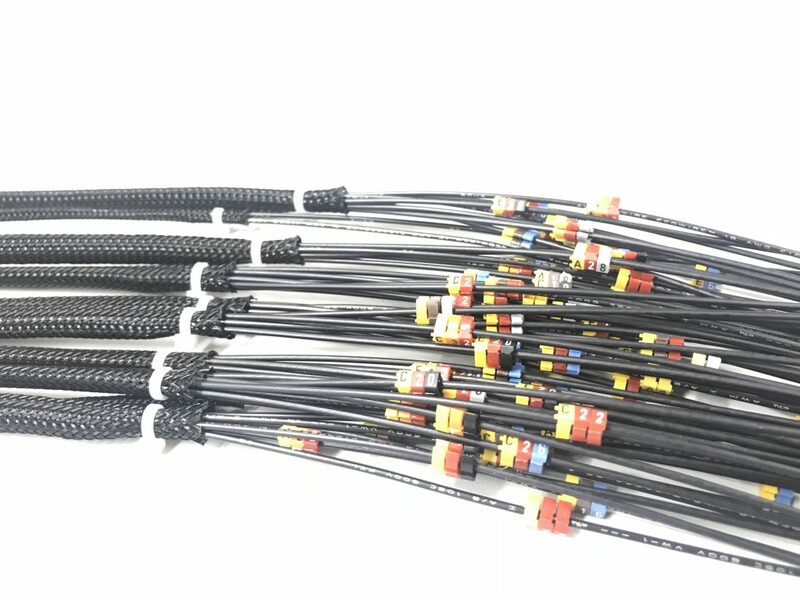 Our shrink tubes are used in the following industries among others: Cable assembly, automotive industry, military technology, machine construction, rail technology and aviation industry. Pad printing is a gravure printing process which works as follows: The print image you require is transferred onto the printing plate by etching or exposure, creating a depression in the printing plate. The ink applied flows into this. Excess ink is removed by the doctor blade. The thin colour film is left behind in the previously created depression. At the same time an elastic pad made out of silicone rubber is pressed onto the mould to transfer the print image. After that, the pad is lowered onto the cable or another component, where it transfers the motif. 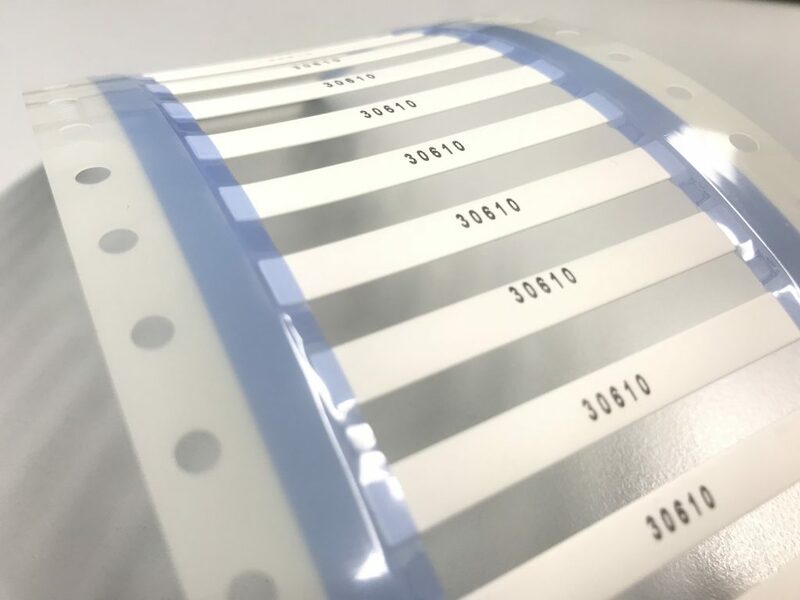 The pad is very flexible, which is why the cable marking or printing of other plastics with complex shapes, whether concave or convex, can be realised optimally. Pad printing is one of the most important marking methods. Due to its flexibility, the pad can be adjusted for any surface and shape and the print image can be transferred precisely and with high quality.